A small garden is a treasure if you live in a dense community. Whether you have a small allotted yard that's all your own in a condo or apartment building, or if your home is simply built in a small lot, there are plenty of ways to make the best out of even a small garden. From building vertically to installing a specialized water garden in Alpharetta, here are some of the top ways to make your small garden look much larger. Gardens can seem limiting, even large ones, because you only have so much square footage to work with, and you may have endless varieties of plants that you'd love to bring home. If you want to maximize your plant variety but are low on space, fill large pots with several different shrubs, flowers, and small trees. Not only do pots add height that makes your garden seem larger, but because pots limit plant space, you don't have to worry about a specific plant outgrowing your yard. Pots keep things nice and neat in containers so you still have plenty of open grass, patio space, and features like a water garden to incorporate. You should be able to entertain in your garden as well, so make sure you fit some tight, cozy, multi-purpose furniture into the mix. For instance, consider pulling two lounge chairs up to a small table so you can use the space for outdoor dining or outdoor living. Recliners give you flexibility to place chairs upright for conversation with a friend, then lay them back for tanning or reading if you're basking by yourself. You can also install space-saving furniture, like tables that fold up against a wall like a Murphy bed. Drop it down when you want to entertain, then pick it up to enjoy the garden's maximum walking space again. Empty plots of grass or expanses of brick look less spacious than an eye-catching features like fire pits or water gardens. For the latter, hire a professional garden design team to install a small, shallow pond, then fill it with aquatic plants. A focal point in the center of your garden will make it appear much more varied and interesting, and therefore larger. Give people stools if they want to pull up a seat around the pond for a chat. 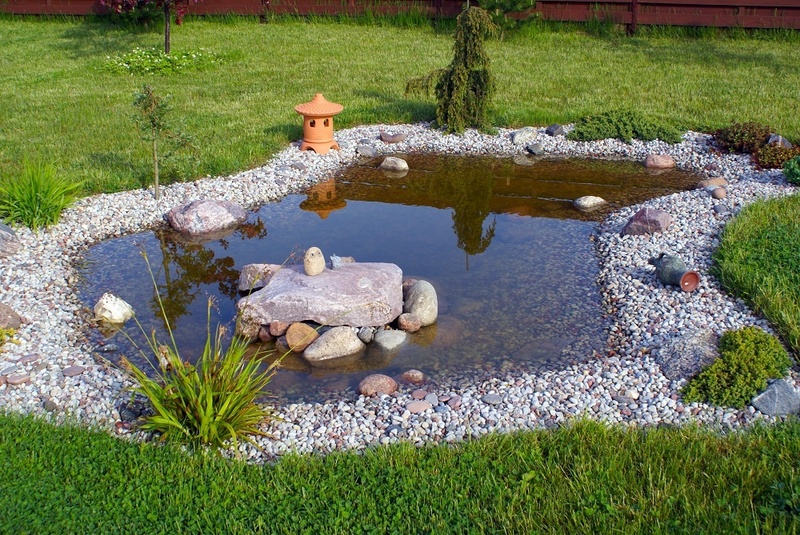 You can also move the pond to a corner and place a picnic bench, tall tree, or other focal feature in the middle of the garden. Color has an illusory effect on the eye, meaning that different colors can alter your perception of a space. Gardens design teams often use color to their advantage, using tricks like placing blue plants around the edges of a garden to make the horizon seem further away. Also, try to limit the amount of colors you use. While you may be tempted to plant a multicolored garden, a large color palette will seem to expand, crowding a garden and making it appear smaller than it is. For more space-saving design tips, or to install a beautifully unique feature like a water garden in Alpharetta, contact Stoeckig Landscape Group today.